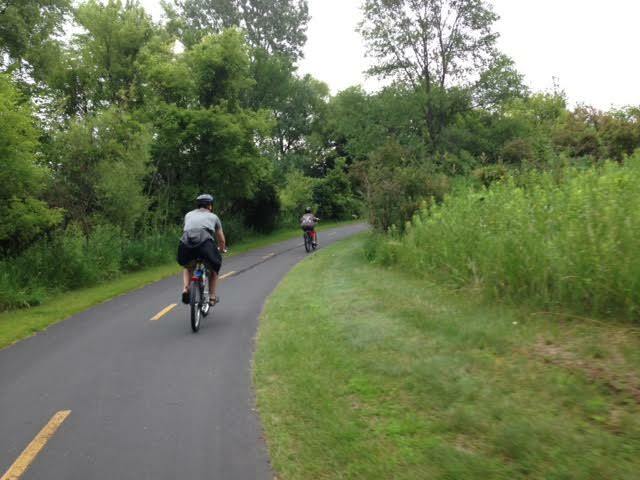 The most bike friendly city in America has countless trails and paths to ride. 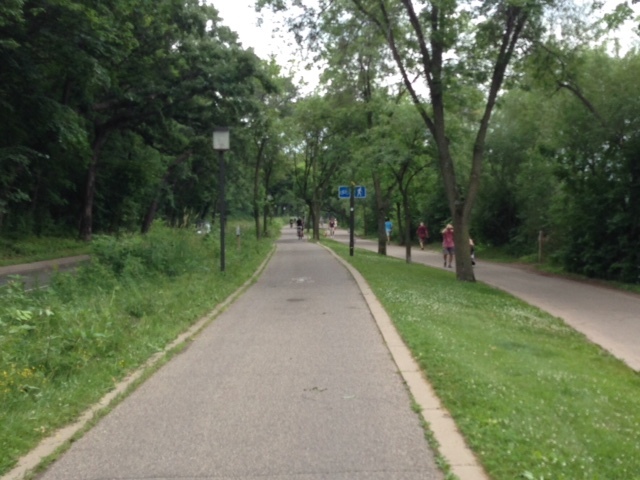 These four routes were pedaled during a mini-vacation to Minneapolis. They are all traffic-free, flat, kid-friendly, and in fantastic condition. Part of the Grand Rounds Scenic Byway these 13.3 miles provide so much to see! It was almost overwhemly beautiful. Which did I want to admire? 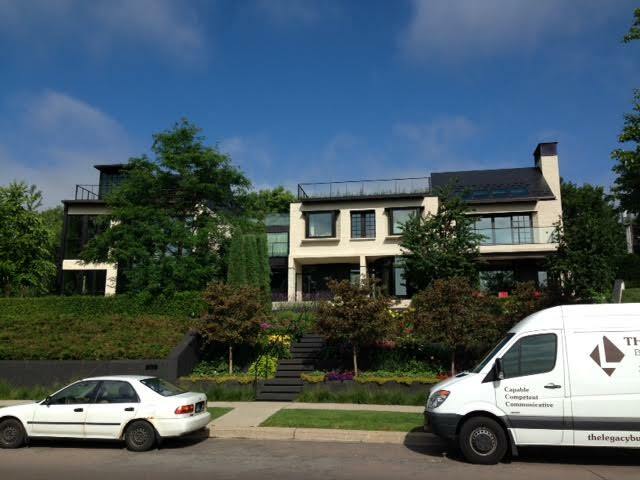 The lake to my right, or the breathtaking homes to my left? The bike path is separate from walking paths the majority of the route. Each lake is connected providing minimal interaction with traffic. 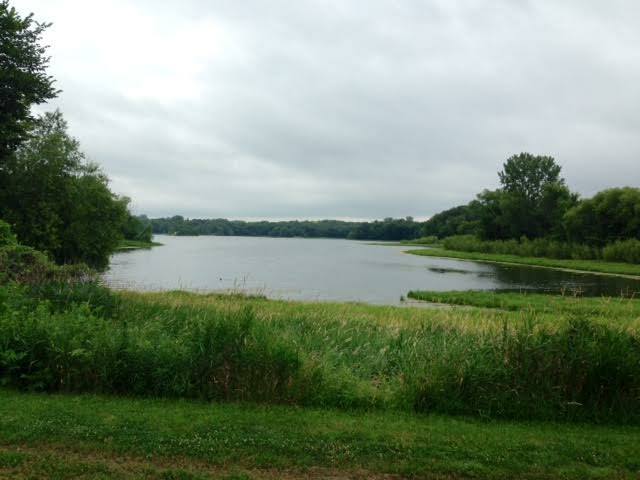 With so much to take in we ended up circling Lake Harriet and Lake Calhoun twice! 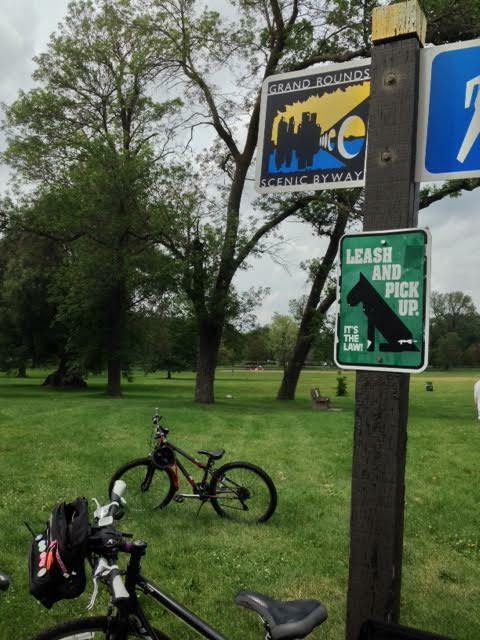 Bike rental is available around the lakes for those who left their steeds at home. This was hands-down the coolest bike trail I've ridden. It's a freeway of sorts just for bikes. It's completely separated from streets and connects the suburbs to downtown Minneapolis. It's lit at night and plowed in the winter. We saw a group of roadies training, cargo bikes, commuters, parents with kids, cruiser bikes and even folks on roller blades. All types of people use the greenway. 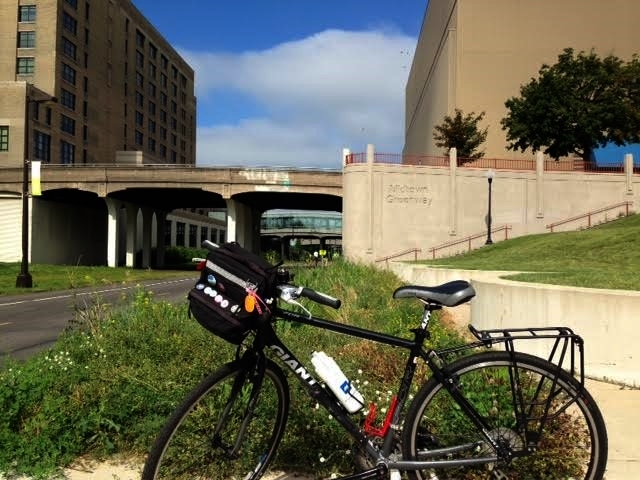 There are on/off ramps providing easy access to streets and Midtown Bike Center is located only feet from the trail. 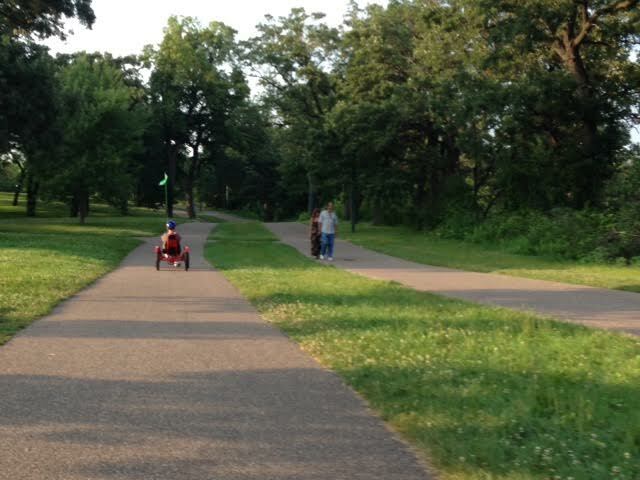 After admiring the falls and walking the trail to where the Minnehaha meets the Mississippi we rented some fun bikes from Wheel Fun Rentals. The evening was spent riding the park trails around while being accompanied by the band playing at the band stand. I felt like a big kid on my "trike" and wondered if a recumbent bike is in my future. This is a beautiful spot in the 'burbs for getting kids outdoors. With over eight miles of trails to ride, picnic areas, and a ginormous playground kids are in heaven! We visited early in the morning and practically had the park to ourselves. The trails wind their way through the reserve and pass by lakes (of course) and prairie. It was a first-time visit and we found ourselves getting disoriented a couple of times. I would recommend printing a map to take along or pining your parking spot on your GPS. 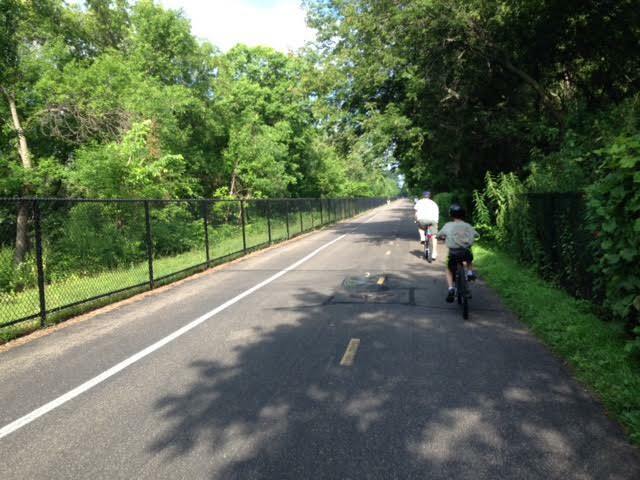 This is a "must visit" spot for families who have brought along their bikes to visit the Minneapolis area.